other information Big Mammy Records 0004, 2010. Recorded in Yonkers, New York and Stamford, Connecticut. 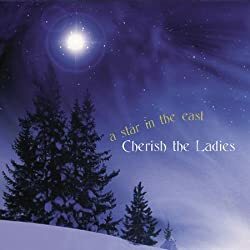 According to <www.cherishtheladies.com/newspage.htm> retrieved on 27 August 2012, this album was recorded in August 2009 and released in December 2009. According to Amazon and other sources, the official release date was 26 November 2009. Not indexed here: 1st and 2nd tunes on track 1 (A Dash for the Presents / Joy to the World), the song on track 2 (All on a Christmas Morning), 1st tune on track 3 (What Child is This? ), track 4 (The First Noel), song on track 5 (Home on Time for Christmas), 1st tune on track (God Rest Ye Merry Gentlemen), track 7 (The Homecoming), track 8 (Rise up, Shepherd, and Follow), track 10 (Christ Child's Lullaby), track 11 (A Christmas Childhood / In the Bleak Midwinter), 1st and 3rd tunes on track 12 (Deck the Halls / Jingle Bells), track 13 (On New Years Eve).